EghtesadOnline: Russian and Indian companies are in talks over a contract to develop Iran's Farzad-B Gas Field, but other oil and gas explorers are welcome to join the race for the coveted natural gas deposit in the Persian Gulf, the head of Iran's state-owned oil company, NIOC, said. "Negotiations are underway with Gazprom and ONGC Videsh, and they can win the Farzad-B contract if they present a development proposal with convincing technical and financial terms," Ali Kardor was also quoted as saying by ISNA on Saturday. "In the meantime, other foreign companies are welcome to discuss their interest in the gas field," he added. A consortium of Indian companies, headed by ONGC Videsh, has been pressing for Farzad-B development rights after last year's lifting of sanctions. The consortium discovered the Farzad-B deposit in 2008 but was forced to drop its interests following the dispute over Tehran's nuclear program and sanctions that targeted Iran's petroleum sector, Financial Tribune reported. ONGC Videsh is the international arm of ONGC, India's largest oil and gas exploration/production company. It faces a serious challenge for the Farzad-B project from Gazprom, Russia's energy giant and the world's largest producer of natural gas. Gazprom has taken steps to reinforce its position in Iran's energy market. Gazprom Neft, the oil arm of Gazprom, signed an agreement with OMV in June to work together in Iran's oil sector, with the Austrian company to help Gazprom Neft in the initial geological assessment of two blocks. In an interview with Argus Media in May, Oil Minister Bijan Namdar Zanganeh said Gazprom had signed an initial agreement to study Farzad-B, the North Pars and Kish, three offshore Iranian gas fields in the Persian Gulf. 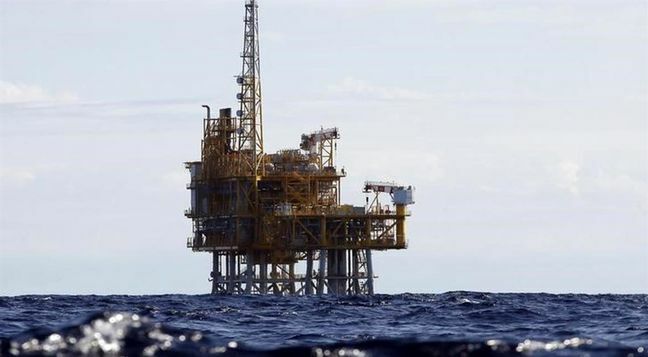 Iranian officials have repeatedly asserted that the Farzad-B discovery nearly a decade ago would not automatically grant the field's development rights to ONGC, a stance that apparently has not gone down well with India. The country has said its state refiners will cut crude oil imports from Iran in the fiscal 2017-18 by a fifth in what is believed to be a retaliatory measure. Last month, ONGC reportedly submitted a proposal to spend $6 billion on the Farzad-B field and $5 billion to build a liquefied natural gas export facility in southern Iran. Iran (34 trillion cubic meters) and Russia (32.6 tcm) hold the largest proven gas reserves, according to BP Statistical Review of World Energy. The US Energy Information Association places Russia ahead of Iran with an estimated 49 tcm in reserves.